The customer is always right. And if you know how to read the signs, your customers will show you where their interests lie. nToklo will read the signs on your behalf by studying your customers’ actual behaviour. It will automatically recommend the products they want before they have realised what they want. Use your customers’ actual behaviour to learn how to serve them better – show them the things they are into, and increase your chances of growing sales and boosting loyalty. Our platform is built on industry leading technology to support very high levels of data velocity and volume. 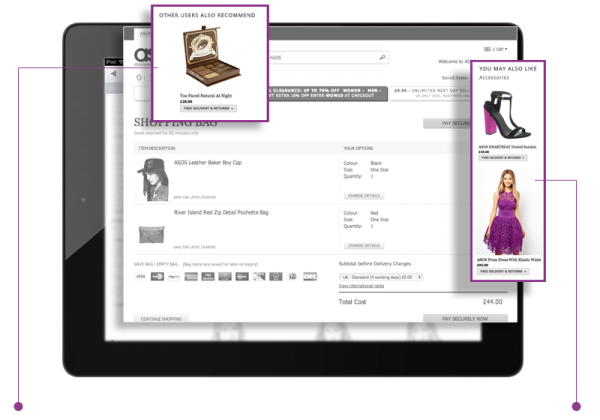 Using our eCommerce platform extensions, plugins, Apps and APIs, it’s easy to send us data. 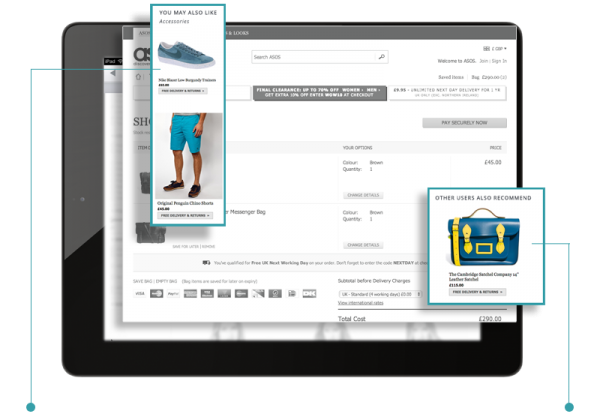 Our console can tell you conversion rates and the best performing location for your recommendations, as well as allowing you to profile your user activity and purchase funnel over time. Query our system for personalised content recommendations and item charts, allowing you to present the relevant content to your users. nToklo analyses all user data so it can show your customers what they want, not what you think they want! Let’s take the example of a pair of sunglasses. How do you recommend the same pair of sunglasses to two different people and still make each of them feel like are receiving a personalised service? 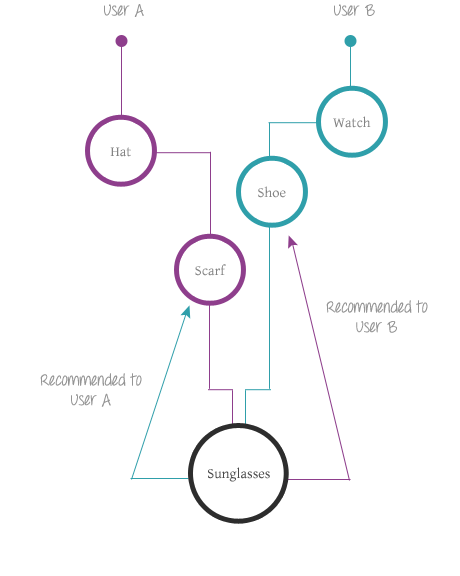 In this example, we will assume one customer chooses a hat and a scarf. The second customer is buying a watch and looking at shoes. nToklo sees the choices they make and, based on the behavior of everyone who has ever visited your site it can predict which additional products are most like to appeal to people – again, based on their behaviour. So, Customer A is told ‘people who like that hat and scarf combination also really like these sunglasses.’ Customer B gets the same recommendation but because of the selection of shoes and a watch that have also appealed to people who bought those sunglasses. Two people, two routes to the same item – doubling the number of people taking an interest in buying it. Now, imagine that multiplied out across all the things you sell.